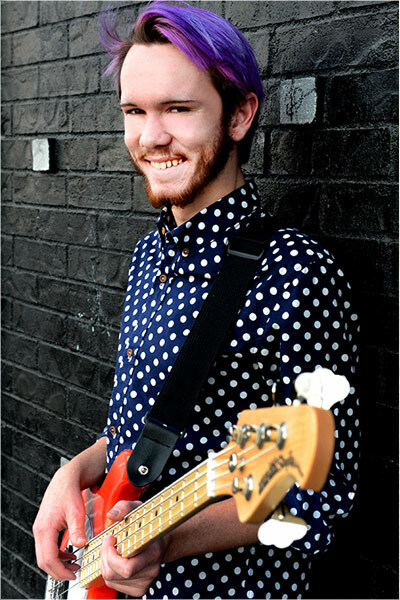 " Randon Davitt is a bassist, vocalist and songwriter with experience and skills well beyond his 18 years "
Randon Davitt is a bassist, vocalist and songwriter with experience and skills well beyond his 18 years. With over 160 shows in the last four years, he’s played big stages like Van’s Warped Tour and small clubs like the venerable Biscuit and Blues in downtown San Francisco. He has opened for greats like Kenny Loggins, Casey Abrams, and Tab Benoit. And he has played the U.S. from Memphis to Seattle, touring from his home base in Southern California. He takes his music seriously, studying technique for four years at the prestigious Orange County School of the Arts Commercial Music Conservatory where he received the ‘Most Professional Award’ for 2015. With the Chase Walker Band he’s lit up the blues scene: their award winning first album Unleashed has played on over 170 radio stations worldwide. One of their singles reached #47 on the Top 100 Hit-Tracks in Europe, and the album achieved medium or higher rotation on over 35 stations in the U.S. Their eagerly awaited second album is due out spring of 2016. Their achievements have been covered by newspapers, websites and magazines from the Wall Street Journal to Guitar World. 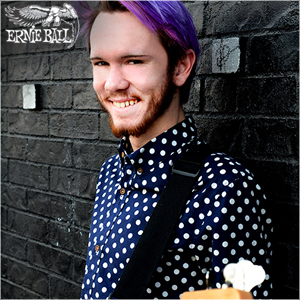 He’s also recorded and recently released an album with his pop punk band Self Help. His dynamic stage presence was developed with an early start acting in Hollywood, with roles on the Disney Channel, Criminal Minds, and a Lifetime Movie. Early stage work includes being a backup dancer and singer for Carol Channing, Joanne Worley, Shoshana Bean and other great Broadway stars. All this supports his ability to connect with an audience – he’s fun to watch; his enjoyment creating innovative bass lines and expressive melodies is contagious. Music critics and fans praise his work, calling his bass lines tight and in the pocket and his vocals rich and expressive. With a repertoire of 170+ covers and originals spanning from modern pop to classic rock to old style blues, he’s ready to entertain – after 5 or 6 hours with his fingers bleeding and and his voice rasping the crowd is still standing, dancing and yelling for more.